Craig Gott joined Suburban Water Systems (Suburban) in 2002 and has held a number of positions in the Engineering Operations Departments including Vice President, Engineering, and Vice President, Field Operations. He is currently the General Manager of Suburban. Prior to joining Suburban, he worked for Sydney Water (Australian Water Technologies) in New South Wales, Australia. He has a proven record of creating positive results for a wide range of stakeholders including customers, shareholders, regulators, employees, and management by submerging himself in organizations and processes, identifying resources and challenges, and visualizing and facilitating strategic and cultural change. Craig has demonstrated regional water industry leadership by serving as the President of the San Gabriel Valley Water Association, President of the Southern California Water Utilities Association, Treasurer of the Main San Gabriel Basin Watermaster, and Director for the San Gabriel Valley Protective Association, and Central Basin Water Association. He earned a Bachelor of Science Degree in Civil Engineering from the University of Wollongong in Australia, and a Masters of Business Administration degree (Finance), from the University of La Verne. 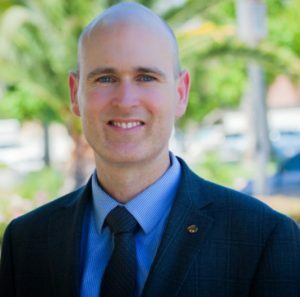 As a licensed Professional Civil Engineer in California, he also holds multiple certifications including a California Department of Drinking Water Distribution Operator III and Treatment Operator II. Craig’s approach to culture change is grounded in employee development and scalable leadership. He empowers leadership at all levels of the organization and has created supportive and inclusive environments that inspire learning and result in improved employee satisfaction and reduced turnover. His investment in relationships have resulted in employees engaging in their careers and some rising to management positions.